Project location: Market Drayton, Shropshire. We were invited to carry out structural levelling work to a 1980’s built garage. 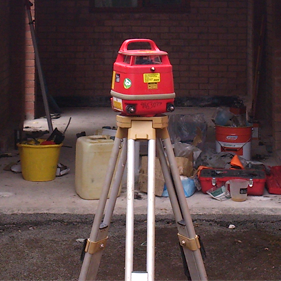 What made this particular levelling job interesting was that the rear of the building had settled by 180mm on average. This meant that when viewed from the side, an appreciable slope could be seen. 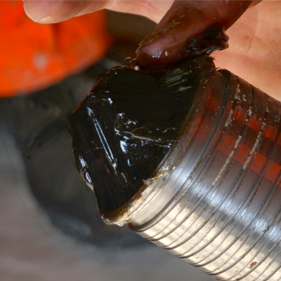 We decided that this project could be efficiently completed using the ReFORCE micro pile solution. The construction was originally thought to have comprised concrete roof tiles, single skin brickwork and a raft foundation. Once we had started work we found that the raft foundation was, in fact, a strip foundation. The floor comprising a thin unreinforced ground bearing slab which effectively spanned between the inner tops of the strip foundation. This kind of construction made the levelling process still more interesting. The first stage was to carry out a careful level survey of the walls and slab so that a lifting plan could be developed. Such plans place limits on the amount to vertical displacement and force which can be applied to each jack. It was then time to install our standard ReFORCE piles under the walls and floor slab. 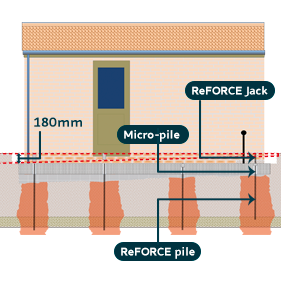 ReFORCE piles contain a tubular structural micro-pile core. Used as a delivery system for the ReFORCE pile permeation grouted column, this strong structural tube forms an effective and reliable jacking point. The micro-piles were set to precise depths so that the lift range could be achieved without extra shimming. Being a strip footing it was assumed that a comparatively weak concrete mix would have been used therefore additional piles were installed to compensate for this. 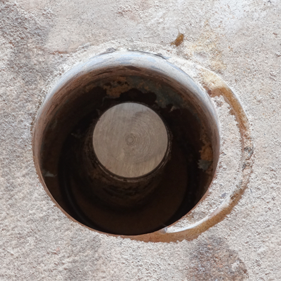 In addition, dowels were inserted to connect the slab to the strip foundation to add a little more rigidity to the structure. The jack bodies were then epoxy glued into the foundation over the ReFORCE piles and then allowed to set. 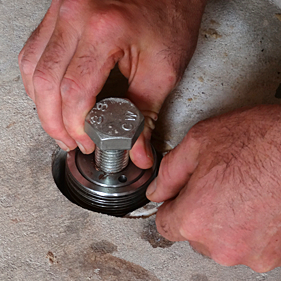 In this case the jacks were controlled by tightening an high tensile steel bolt against the pile head. The resultant displacement is highly controllable and accurate and can minimise stresses caused by uneven lifting. A levelling accuracy of less than +/- 3mm across the structure, probably better than the original build. Careful level survey of the walls and slab was performed so that a lifting plan could be developed. The micro-piles were prepared for installation. Installation took place of our ReFORCE micro pile jacks. 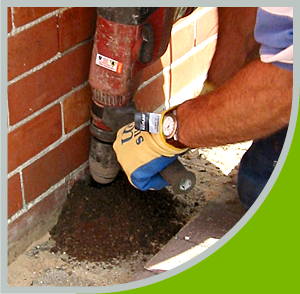 Our chosen method for underpinning foundations in structures such as this residential garage. The micro piles were set to precise depths so that the lift range could be achieved without extra shimming. 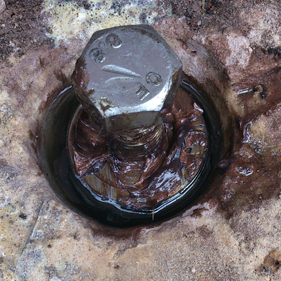 Repiling and leveling accuracy of +/- 3mm across the structure was achieved. 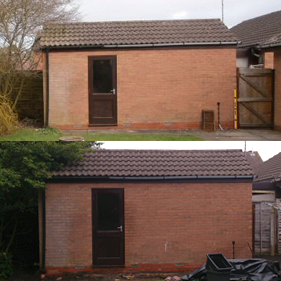 The garage was showing considerable signs of subsidence – we corrected the building by 180mm. 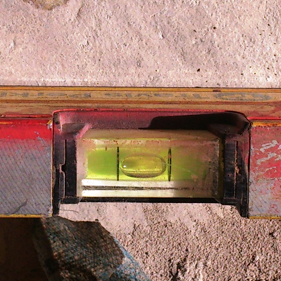 We corrected the garage subsidence by 180mm using the ReFORCE geoengineering system.